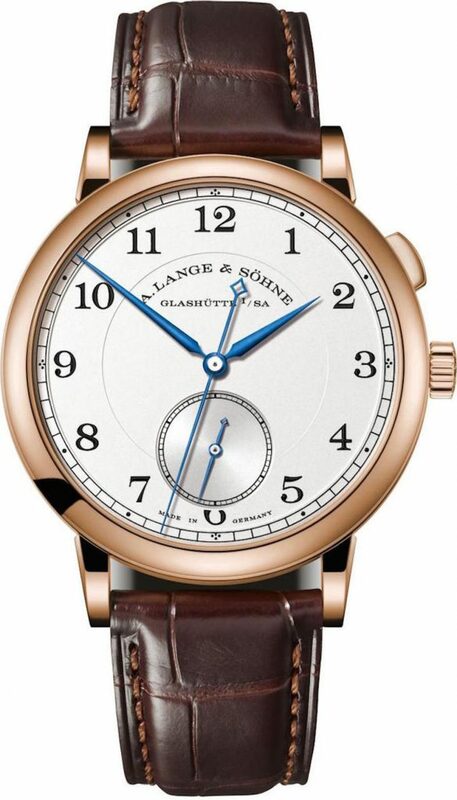 A. Lange & Sohne 1815 Homage to Walter Lange watch in 18-karat rose gold, Pre-SIHH 2018. In a sneak preview of watches being unveiled officially at SIHH in Geneva in January 2018, German brand A. Lange & Sohne unveils the 1815 Homage to Walter Lange series of limited edition watches. In our Perfect Timing column on Forbes.com, we wrote extensively about the new precious metal series of stoppable Jumping Seconds watches, but here we bring you a look at the more technical aspects of the new caliber and at the special charity-only stainless steel version, as well. The watches pay tribute to Walter Lange who re-established A. Lange & Sohne 27 years ago, bringing the brand his great grandfather, Ferdinand Adolph Lange, founded back to reality post reunification of Germany. When he died earlier this year — just a few days into the 2017 SIHH– the world lost a good leader. These new timepieces honor his vision and tenacity, as he is responsible for building A. Lange & Sohne into the great success it is today — with more than 60 calibers and a host of important patents. Pre-SIHH 2018: A. Lange & Sohne 1815 Tribute to Walter Lange watch in white gold limited edition, $47,000. 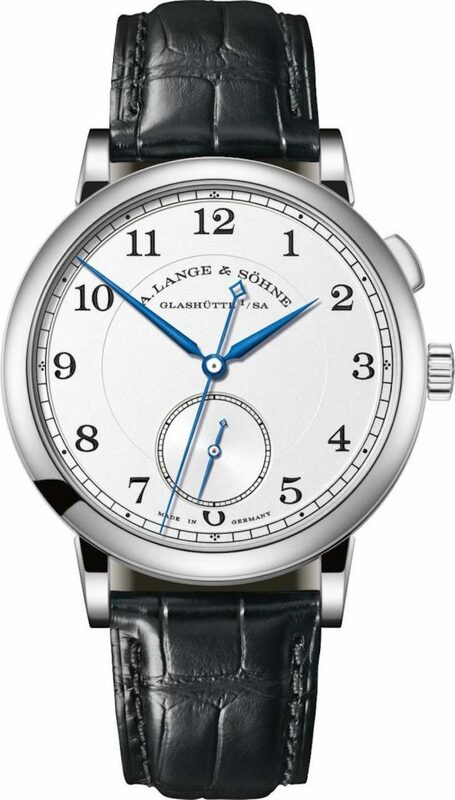 The A. Lange & Sohne 1815 Homage to Walter Lange watch with a stoppable jumping sweep seconds hand recalls the invention developed by Ferdinand Adolph Lange in 1867 and put into a pocket watch a decade later by Emil Lange: the jumping sweep seconds hand with start/stop function. Instead of being a creeping seconds hand like most mechanical watches that work via a series of about six different steps and show the second hand slowly and continually moving, the Jump seconds is a more complex system that actually indicates second by second movement, with the seconds hand jumping one marker at a time. This allows for exact measurement of each second via a subsidiary dial at 6:00 that has an outer rail track. By pushing the button at 2:00, the wearer can stop the seconds hand and start it again to measure more accurately without effecting the time measurement. The new caliber, L1924 — named for the year Walter Lange was born — offers 60 hours of power reserve and is cased in a 40.5mm tribute watch made in 18-karat white gold (145 pieces — for 1845 when the brand was first founded), 18-karat pink gold (90 pieces for when Walter Lange founded the new A. Lange & Sohne), and 18-karat yellow gold (27 pieces for the 27 years of the brand’s existence under Walter Lange). Each of these retails for $47,000. There is also a one-of-a-kind stainless steel version with black enamel dial that is made strictly for a charitable auction taking place next year. 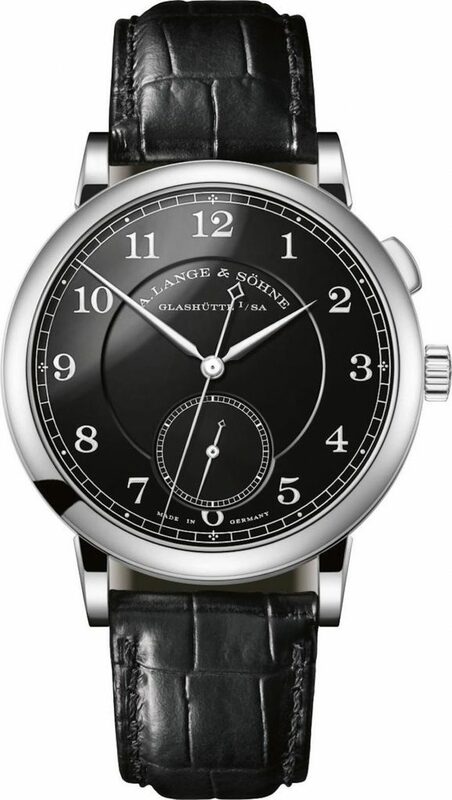 Pre-SIHH 2018: This special edition stainless steel A. Lange & Sohne 1815 Homage to Walter Lange watch with black enamel dial is a one-of-a-kind that will be auctioned next year for charity.